Figuring theyre all expendable, a U.S. intelligence officer decides to assemble a team of dangerous, incarcerated supervillains for a top-secret mission. 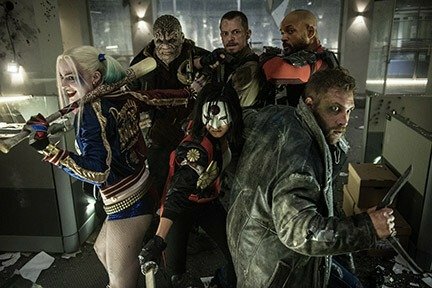 Now armed with government weapons, Deadshot (Will Smith), Harley Quinn (Margot Robbie), Captain Boomerang, Killer Croc and other despicable inmates must learn to work together. Dubbed Task Force X, the criminals unite to battle a mysterious and powerful entity, while the diabolical Joker (Jared Leto) launches an evil agenda of his own.